In the United Kingdom, Ireland, South Africa, and Australia the term "respiratory physician" is used (rather than pulmonologist) to distinguish a physician that practices pulmonology. 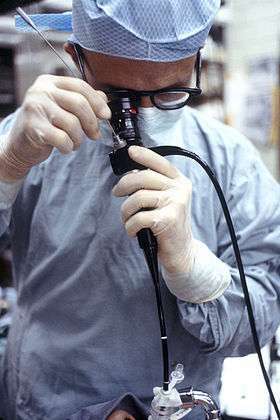 In Canada, respirology and respirologist are used. Surgery of the respiratory tract is generally performed by specialists in cardiothoracic surgery (or thoracic surgery), though minor procedures may be performed by pulmonologists. 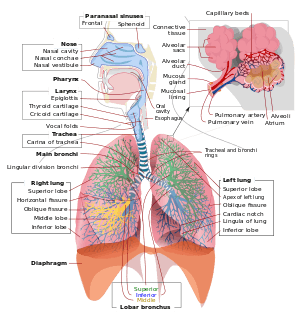 As mentioned above, pulmonology is closely related to critical care medicine when dealing with patients who require mechanical ventilation. As a result, many pulmonologists are certified to practice critical care medicine in addition to pulmonary medicine. There are fellowship programs that allow physicians to become board certified in pulmonary and critical care medicine simultaneously. Interventional pulmonology is a relatively new field within pulmonary medicine that deals with the use of procedures such as bronchoscopy to treat several pulmonary diseases. Interventional pulmonology is yet widely recognized as a specific medical specialty.